LATAMCAN is the meeting platform for canmakers and suppliers of the metal packaging industry. This year the event will take place in Sao Paulo, Brazil, from October 4th, to October 6th, 2017. With a large number of can plants, the country is a key player in the region and an important business hub for the international canmaking industry. 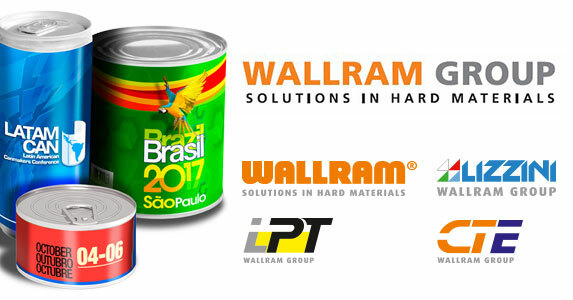 At the table top exhibition, the WALLRAM Group will be represented by our COO, Mr. Hardy Kirchhausen, along with our representatives in South America, Mr. Flavio Vieira and Mr. Aparecido Domingues. We would be happy to welcome our customers and take care of specific customer requests as well as convince with our precision and quality worldwide. With our production sites in Germany, Poland and the United States and our sales partner in Brasil and China we are in an excellent position to provide customers with highly competent support.